My kids seem to have a thing for getting into our stuff, whether it’s digging around in the toolbox or, in my case, my makeup collection. (Wait, makeup is a tool, right?) That might explain why half a bottle of foundation ended up on the floor, the nib of my favorite lipstick is smudged, and my favorite limited edition eye shadow has several cracks in it. It’s about time someone did something about this—something tangible that allows kids who want to play with all things beauty to have their very own products. 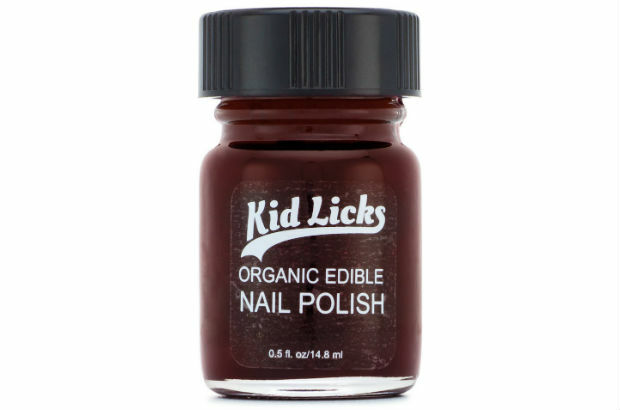 Here, five beauty products for kids I’ve discovered. They won’t be able to resist, and you will finally have your beauty collection all to yourself. Here’s a fun, effective, safe way for kids to get more body in their hair without the need for a curling iron. SoCal Curls ($18.99) is a colorful hair tie that is available in several different patterns and solid prints. To use, just heat the tie up in the microwave for thirty seconds. Tie it around your child’s head, tuck her hair into the wrap, and let it set for about half an hour (or sleep on it—it’s soft and comfortable enough to do so). What’s fabulous about this product is that it’s easy to achieve several different looks simply by switching up how much hair you wrap. Small sections yield tight, springy curls, while larger sections will give hair that enviable beach wave. If you need some help getting started, be sure to watch the tutorial on the website. An afternoon at the pool or a day at the beach may feel amazing, but it can also do a number on hair. Namely, it’s the chlorine, sea salt, and buildup of these things that can accumulate and cause hair to feel a little gunky, dry, and unhealthy. 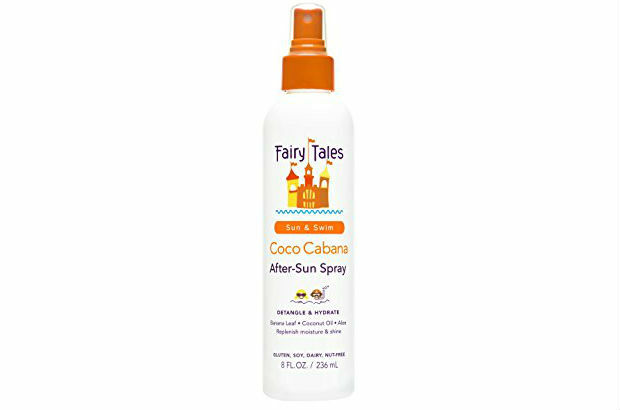 To the rescue comes Fairy Tales Coco Cabana After Sun Spray ($11.95). It’s formulated to gently and effectively eliminate sea salts, minerals, and chlorine from hair. If chlorine leaves the kids’ hair green, for example, this will help get rid of it quickly. It’s safe for moms, too—feel free to use it on your color-treated mane before a dip in the pool. To maintain your child’s hair, spritz this on damp or dry hair at any time and comb through. Try it before a day at the beach or after an afternoon soaking in the sun. Hair will be softer and less brittle, too. It’s no secret that getting kids to willingly brush their teeth is a bit of a chore. And let’s not even think about the moaning and groaning that sometimes accompanies this very necessary task. Yet there’s a way to make it a fun experience: by introducing them to toothpaste made just for them. 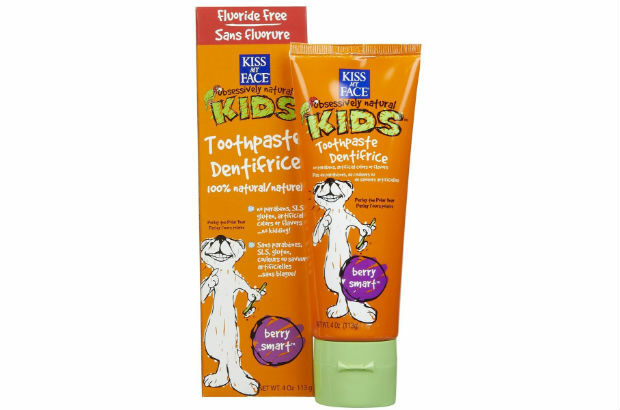 Kiss My Face Obsessively Kids Berry Smart Toothpaste ($5.95) is a fluoride-free formula that contains tea tree extract, aloe vera leaf extract, and cranberry fruit powder. Stevia sweetens the blend just enough to make it tasty without robbing it of its efficacy. It’s never too early to start practicing a few good beauty habits. While it’s unlikely every single product they ever use will be of the natural and organic variety, it’s nice to insert these products into the routine whenever possible. 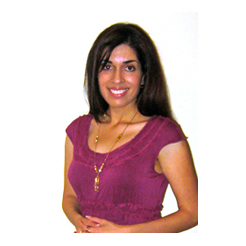 Enter Sparklehearts, whose line of skin-friendly products for the hair and body are free of toxins and chemicals. One of the most impressive in the line is Yummy Natural Deodorant ($7.99). It’s available in three fragrances—Pineapple and Mangosteen, Sour Apple, and Raspberry Sugar—and made with 100% antimicrobial, all natural ingredients. It fights odor and leaves skin smelling fresh and sweet all day.